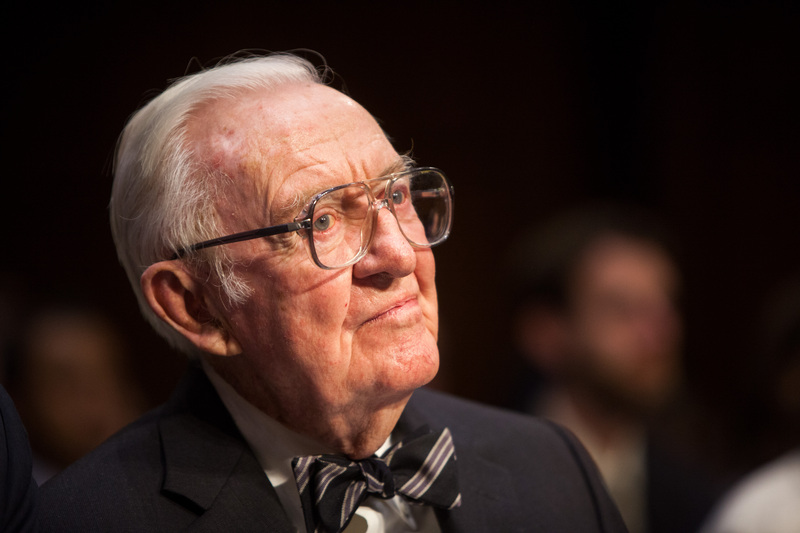 Retired Supreme Court Justice John Paul Stevens said Thursday he did not believe Supreme Court nominee Brett Kavanaugh should be confirmed, citing his "performance in the hearings" before the Senate Judiciary Committee last week. The 98-year-old spoke before a crowd of retirees in Boca Raton, according to the Palm Beach Post. Stevens said that while he initially believed Kavanaugh has the requisite intellectual ability to sit on the court, the nominee's partisan broadsides at a hearing investigating sexual assault allegations against him showed that he may not have the temperament to be on the court. "At that time, I thought (Kavanaugh) had the qualifications for the Supreme Court should he be selected," Stevens said. "I've changed my views for reasons that have no relationship to his intellectual ability…I feel his performance in the hearings ultimately changed my mind." Stevens was nominated to the bench by President Gerald Ford in 1975. Although a lifelong Republican, Stevens often sided with the liberal position in court rulings. He notably wrote a scathing dissent in the Bush v. Gore decision in 2000. Since leaving the court, he has suggested repealing the Second Amendment as a response to the school shooting in Parkland, Florida, and has called for revising the Eighth Amendment to abolish the death penalty. Stevens said that there was "merit" to the criticism by Democrats that Kavanaugh has been too partisan in his defense against allegations of sexual assault. "I think the senators should pay attention to that," Stevens said. In the hearing last week, Kavanaugh called the allegations against him "a calculated and orchestrated political hit, fueled with apparent pent-up anger about President Trump and the 2016 election, fear that has been unfairly stoked about my judicial record. Revenge on behalf of the Clintons, and millions of dollars in money from outside left-wing opposition groups."